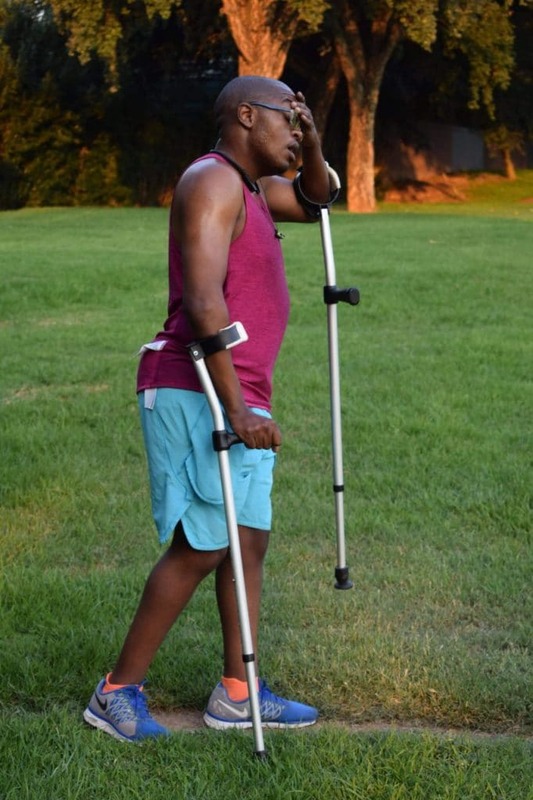 Running With Crutches Won’t Hold Ipeleng Back! On 31 March 2018, Ipeleng Khunou will be tackling a different kind of challenge at the Two Oceans Half Marathon. What makes him different from the rest however, is that he will tackle the 21.1km distance using crutches. Khunou was born with a brain deformity called Septo Optic Dysplasia, meaning that he was born without balance. Amazingly, he will now tackle the country’s biggest half marathon event. Through age and experience, Khunou’s running escapades have seen him excel, having completed several half marathons including Old Mutual Om Die Dam Half Marathon. This year is going to be his first attempt at the Old Mutual Two Oceans Marathon, and he couldn’t be more thrilled to run in Cape Town, albeit with a greater cause than just his own. “I’m really excited about this. What makes it special for me is that I’m going to be raising money for the Nelson Mandela Children’s Fund. A lot of people tell me that I am an inspirational person because I run on crutches but I haven’t felt the same. Now I actually have a purpose to run, and I am driven to finish with a medal. I can’t let the children down,” says Khunou. This won’t be an easy task. Running with crutches comes with it’s own challenges and is highly taxing on the body and mind. “I just got some new crutches to run with. In fact, they’re called ‘smart crutches’ and they have been slightly adapted. The OMTOM is the first time I’m going to be using them. I’m looking forward to using them because they will help me with the impact.” Khunou says the impact on the ground is one of his biggest challenges when using crutches to run. This is only the beginning of an exciting journey for the miracle runner. He hopes to take on longer distances and may go on to do the OMTOM Ultra Marathon and perhaps even the Comrades Marathon. Next year he plans on running from Pretoria to Cape Town with other runners, all with varied abilities. There is clearly no stopping Ipeleng Khunou. Keep an eye out for Ipeleng this Saturday tackling South Africa’s favourite half marathon.